The new high performance OM70 laser point and laser line distance sensors from Baumer combine high-precision measurement technology and easy handling in the automation industry. Thanks to repeatable measurements in the sub-micrometer range and minimal linearity deviations, the sensors enable reliable measurement of components as well as high-precision positioning of objects or grippers. The sensors guarantee extremely high process stability despite variations in temperature or varying ambient light conditions. The OM70 laser point sensors are suitable for position and height checks of small components and objects thanks to their very small spot size. The very fine laser line of the OM70 laser line sensors offers high precision even for demanding surfaces. 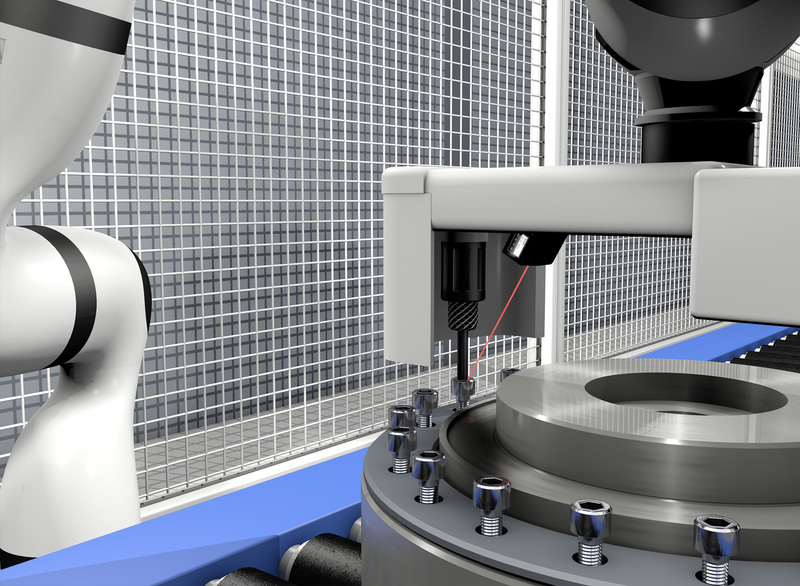 Special variants for tolerance measurement allow an efficient check of the dimensional accuracy of objects. By teaching in a reference, the OM70 sensors directly determine the deviation from the target measurement. The digital output can be parameterized accordingly. But the sensors are not only convincing because of their performance, but also because of their simple operation. The parameterization can be carried out directly on the sensor via the clearly visible touch display with an integrated live monitor.